Rafael Lopez has been optioned to Triple-A. He only hit .180 with three home runs and 13 RBI in 34 games with the Padres. 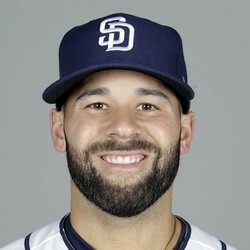 With Austin Hedges back from the DL, Lopez wasn’t needed in the big leagues anymore. To the extent you were wasting a roster spot on him, feel free to move on.